The Newfoundland gets its name from the Dominion of Newfoundland, now a part of Canada. They were named in 1775 by George Cartwright and are called ‘Newfies’ for short. The Newfoundland is the canine version of a teddy bear: large, furry, cuddly and lovable. Newfies embody everything we love about dogs, including their loyalty and affectionate nature. Initially bred and used by fishermen to retrieve nets and small boats from the water, Newfies also make great family dogs because of their innate affability with children and adults alike. If you live in a cool place with easy access to a large water body and the outdoors, the Newfie is the dog for you. Newfies are famous for their incredible skill as swimmers and one of them is said to have saved Napoleon Bonaparte’s life when he fell overboard while returning from his exile in France. Newfies love the water and are used as lifeguards and water rescue dogs to this day. The origin of the Newfoundland is relatively shrouded in guesswork and approximation. 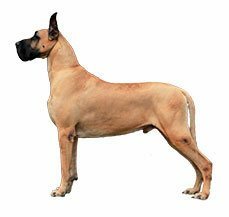 Some believe that this breed originated in England and was brought by fishermen to Newfoundland. Others surmise that this dog was a descendant of the Viking bear dog and still others infer that they are the happy result of crossing the Great Pyrenees with either the Mastiff or the French Hound. Whatever their ancestry, the existence of the Newfie was in jeopardy in the late 1700s, when the breed was almost wiped out due to government-imposed restrictions mandating Canadian families to pay taxes on the already stringent one-dog-per-household rule. The resurgence of the Newfie is credited to Sir Edwin Landseer, who included this breed in his paintings. The white-and-black variety is named in his honour. 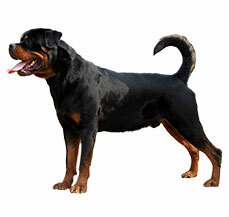 The establishment and popularity of the breed was solidified by a former governor of Newfoundland, the Hon. Harold MacPherson, who made Newfies his breed of choice. It’s no surprise that, in his famous children’s book, ‘Peter Pan’, author JM Barrie chose Nana, a Newfie, to be the children’s nanny. Despite their intimidating size, Newfies are especially known for their gentle disposition and tolerance towards children. Newfies love the water and their bodies are built to swim long distances, even in the cold. They were bred to retrieve fishermen’s nets from the water and are currently considered the best breed for lifeguarding and aquatic rescues. Newfies are also especially thirsty dogs and it doesn’t help that they are messy drinkers, prone to spilling water everywhere. If you want to live with a Newfie, get used to slobber and welcome drool into your life. Nana the Nanny! In the celebrated children’s story, Peter Pan, Nana the canine nanny is a Newfoundland, and rightly so. Not only is her character quite fittingly based on the breed’s innate ability to love kids, it’s also based on author JM Barrie’s own Newfie. If you loved brushing Barbie’s hair as a kid, the Newfie and you may be made for each other. They have a flat and water resistant double coat, need to be groomed regularly to keep the matted coat at bay and they shed all year long, more so during spring and fall. If you don’t enjoy a fur-lined wardrobe, the Newfie may not be the dog for you. They will need to be groomed at least two or three times a week. You can choose to do this yourself, which will be time consuming but a great opportunity to bond with your pet, or you can hire a groomer, which means you’ll have to be prepared for the expenses. Newfies drool. A lot. Their flews and the shape of their jaw will ensure that you spend a good portion of your day wiping up after your dog. Keep thick rags of absorbent cloth handy around the house. It’s important to keep wiping the drool off especially on long walks, because once the muzzle and neck start gathering dirt, your Newfie is likely to pick up the first infection that’s available around the corner. Newfies are large dogs and have a tendency to gain weight. This and other breed specific peculiarities lead them to be prone to quite a few health issues. Addison’s Disease or hypoadrenocortism is a serious condition caused by insufficient production of adrenal hormones. Vomiting, poor appetite and lethargy are all symptoms of Addison’s, but because of their generic nature, the condition can often go unnoticed for long. More severe signs that occur in later stages could lead to severe shock and even death, so if Addison’s is suspected, it is best to get a vet’s opinion at the earliest. Newfies are also prone to various eye problems, including cataracts. This usually happens gradually during old age, but cataracts in a younger dog that can handle the stress can be surgically removed. Cherry eye is another common affliction that Newfies suffer. Cherry eye is the infection of the gland known as the third eyelid and can also be dealt with surgically. Hip and elbow dysplasia are other common Newfie conditions, both genetically inherited and both treatable with surgery or pain management medication. Hypothyroidism is also a commonly occurring ailment amongst Newfies that is said to cause epilepsy, hair loss, obesity, lethargy and some skin problems. Again, this condition can be controlled with medication and dietary restrictions. Newfies are famous for their calm, docile nature. They are affectionate, patient, loyal, brave, and extremely good with young children. They are also physically very strong and their bodies are engineered to not just be able to swim great distances but also to survive very cold water and pull ashore people in distress, which is why they make excellent lifeguards. Newfies are also known for their rare intelligence and are counted amongst the easiest breeds to train. As large and lumbering as Newfies are, they don’t need to be exercised quite as much as smaller, more active dogs like boxers and beagles. This means that they will be relatively happy in apartments. 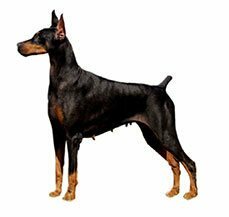 That said, their sheer bulk requires that they live in a spacious place; it is hardly advisable to be tripping over a 100 pound dog – however docile – in a tiny apartment. Newfies also tend to put on weight quite easily, and apartment living will only encourage their sedentary nature. A Newfie living in a small house will have to be walked regularly and allowed enough ambling time in the local park, to ensure that he or she can keep the extra pounds off. Further, because of their love for water, these dogs do very well in an environment that includes access to a water body. Newfies are long haired dogs and will fare well in colder places. They don’t do very well in hot places and will need an artificially cooled place during summers. 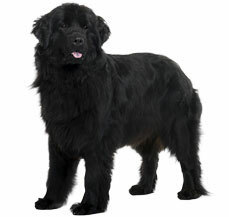 Newfoundland is an intelligent breed and is one of the easiest breeds to train. They are the perfect guard dogs and love to please the family members, so this will be an easy breed to train just make the training sessions fun, Newfies have a lot of energy so this adorable dogs that will not get tired easily. This generally makes training a breeze. They are also a great companion for a run or a jog. Newfies are immensely intelligent dogs, believed to be second to none in their ability to learn. The best way to train them is to develop a training programme that integrates both mental and physical exercise. These highly trainable dogs can pick up new commands easily and love to please their human family, which makes training a breeze. They also respond best to water, so even if you don’t intend on making a lifeguard out of your Newfie, you’ll do well to teach him or her fun water-based sports and activities. The strong and silent Newfies have a deep and broad chest with a level back. They have water-resistant double coats: a coarse, straight outer one with flat hair and a dense undercoat. The forelegs are straight and well feathered and the hind legs are partially feathered. The tail is thick, well covered with hair and slightly curved. The eyes are small, deep-set, spaced wide apart and dark brown in colour. The head is broad and massive with a deep muzzle that is rounded at the top. The ears are small and set back, close to the head. The mouth is very soft and the jaw is slack, to aid with retrieving without damaging. Newfies fall under the giant canine category. Males weight 60-70kg (130-150lb) and females weigh 45-55kg (100-120lb). Some have been known to weigh over 90kg (200lb). The largest Newfie known to man weighed 120kg (260lb) and measured over 6 feet from nose to tail.